When it comes to cosmetics my collection is a mixture of affordable and luxury beauty, but admittedly there aren't many affordable products that often makes the cut. My skin has always suffered from bursts of dry spells, therefore i'm always very careful of what products I use. 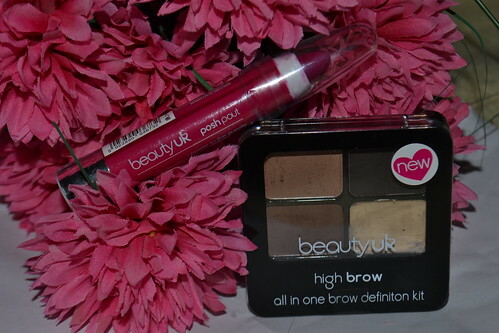 Beauty UK has always been one of my favourite affordable makeup brands due to their innovative products and their use of very pretty colours. 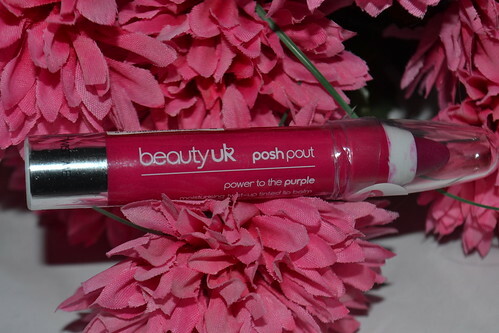 Today I thought I'd introduce you to two of their latest products 'The Posh Pout* - Power to the Purple' and the 'High Brow Kit'* both of which I have become quite obsessed with during the last few weeks. I know what you're probably thinking, the photography evokes a sense of spring with all of those pink flowers. The reason I've used that background is due to the purple colouring looking almost identical to this fake flower bouquet I've had in my bedroom for years and I've always loved the colour. Power to the Purple isn't so much a purple colour, but more of a deep petal pink. The colour is vibrant and the product is effortless to use and lasts for a considerable amount of time for the price tag. One of my favourite aspects of the Posh Pout is that my lips feel moisturised after use and still stays feeling fresh after a few hours usage. Many lip products can be quite drying and almost irritating when it begins to smudge off and leave flaking bits hanging off your upper lip. This product is really hydrating and it makes your lips look shiny and healthy. The Posh Pout chunky lip crayons comes in six vibrant colours and costs only £2.99 making it easy to buy the entire collection. I'm looking forward to trying the 'Would I lilac to You?' in the near future - I love the name. 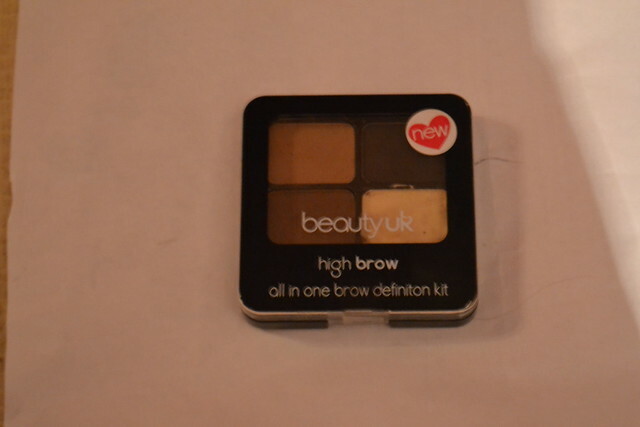 The High Brow kit is probably the best brow kit I've ever tried. 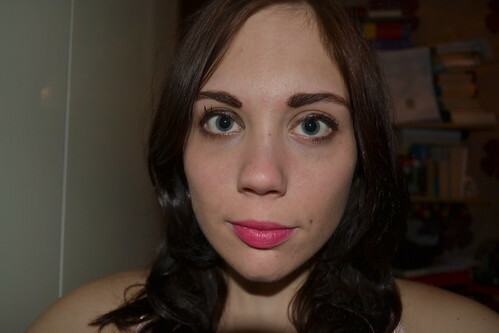 A few months ago I spent a considerable amount of money on a higher end brow kit and was left disappointed. After my experience I vowed to only use pencils and to avoid powders for good. However, the High Brow kit has completely changed my mind. The brow wax is sticky enough to hold down the colouring, but doesn't feel sticky to touch or too heavy on your eyebrows and the trio of colours and highlighters blend fabulously to define your eyebrows. The best thing about this kit is the fact that it matches my coloured hair so well and helps my eyebrows look naturally striking. The High Brow eyebrow kit comes with a mini pair of tweezers perfect for on the go, a double ended applicator and a trio of colours to play around with all for the small price tag of £4. Have you tried any Beauty UK products lately? I've not tried anything by them, will have to check them out! Great review never tried any Beauty uk products before will have to go look at them. Never heard of this brand, i think? Great review!